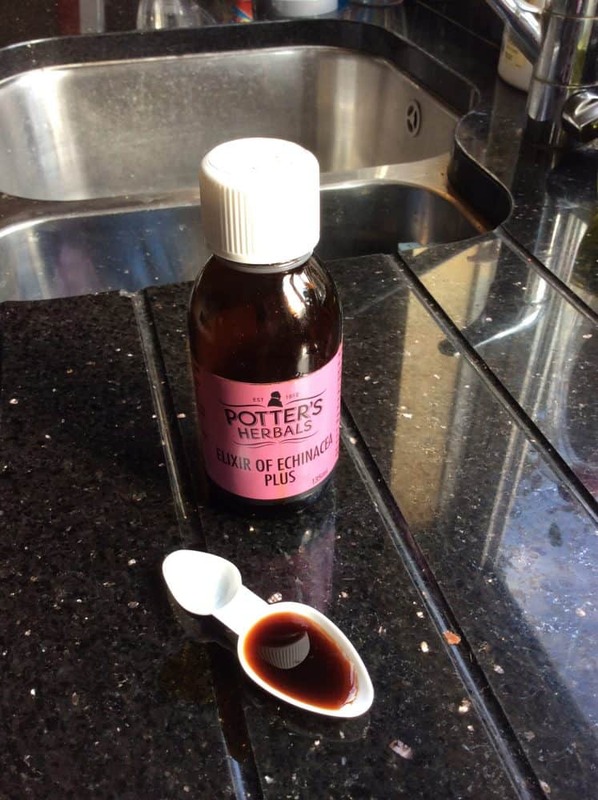 The nice people at Potters Herbals gave me a bottle of their Elixir of Echinacea to try out. I accepted quite readily when I got the offer – I’m very fond of all types of supplements and herbal remedies, whether scientifically proven or otherwise, and I’m always happy to try something which is supposed to protect against the dreaded cold and flu bugs which do the rounds at this time of the year. And then I realised what a difficult blog this would be to write. Yes it comes in very attractive packaging and bottle. Yes I think it tastes lovely, and my daughter thinks it tastes horrible (basically an aniseed flavour – you either love it or you hate it). But how was I supposed to form an opinion as to whether this bottle was protecting me from colds and flu? You are supposed to take 3 doses a day – so in theory the bottle contained enough for nine days supply. I could take it religiously for 9 days and then report that I didn’t get a cold – but as scientific evidence that is not very compelling. Thankfully for me (not for her) my dear daughter came to the rescue. She dutifully came home from school with a nasty throat bug, feeling very sorry for herself. She and I are both singers, and both very susceptible to nasty throat viruses which cause us to lose our voices for days, so we both realised this was an emergency. 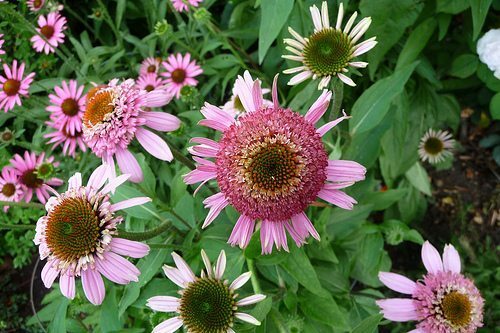 So we both started on the Echinacea – when she was actually ill my daughter changed her mind about the taste and said that the warming feeling as it went down her throat felt really good, and that it felt like it was doing something useful. She also inhaled a lot of steam and gargled a lot of warm water but she took no other medication. She did lose her voice, but only for two days – and from my experience that could have been a whole lot worse. And from my perspective I am ecstatic. Not only did I get to write a review which is a bit more than ho-hum about the product, but I also seem to have avoided the bug despite being in close proximity to my daughter for days. So in our family, I think we are giving the Echinacea a big thumbs up. It’s apparently available in Holland and Barrett, so I will be popping over there to get some more. The product is recommended for children over 12 only, but I think I would give it to my large 11 year old as he is always getting colds. I think this will become a staple of our family medicine cabinet and I’m very glad to have received it. Whenever I\’m getting slightly sick I reach for the garlic and echinacea tablets. This stuff looks like echinacea on herbal steroids so I\’ll keep an eye out for it!